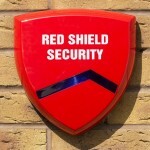 The Red Shield range features the easy to install, remote controlled wireless home alarm kit along with various accessories to enable its expansion and customization. 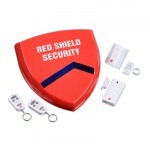 The accessories are all designed to be used to extend, enhance and customize the Red Shield Home Alarm kit and, apart from the Dummy Bell Box, cannot be used as standalone units. All accessories, apart from the Dummy Bell Box, are supplied complete with batteries.